So, what is chambray? Well, you may have heard of chambray’s cousin, denim. Lighter in weight, chambray fabric involves single strands of colored and white thread woven together, giving it a heathered appearance. Our red chambray is 60% organic linen and 40% organic cotton. If you don’t feel like doing the math, that’s 100% organic so you feel (and look) 100% fantastic. Go ahead - sound fancy and use the word chambray. We're always on the lookout for materials that keep it simple yet add slight visual texture beyond just a straight solid color. That makes chambray a go-to. We looked at about 10 red chambray options and landed on this one for the balance of color, weight (5.5 oz -- not too thin, not too heavy), and it's organic origins. 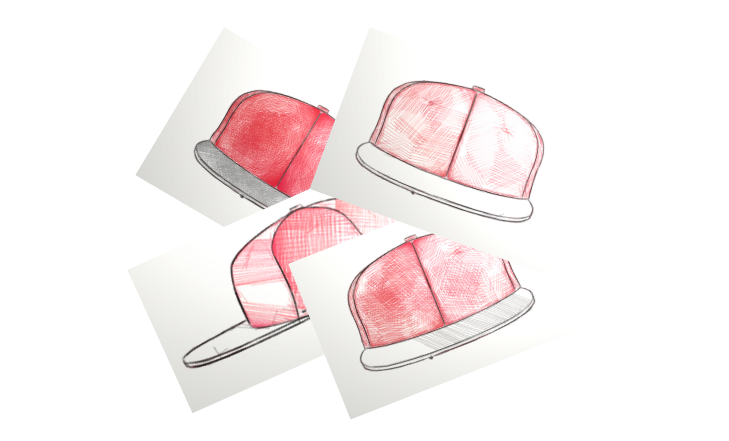 We added a white and light grey organic cotton checkered liner to give the inside some life and to give the hat a bit more structure.